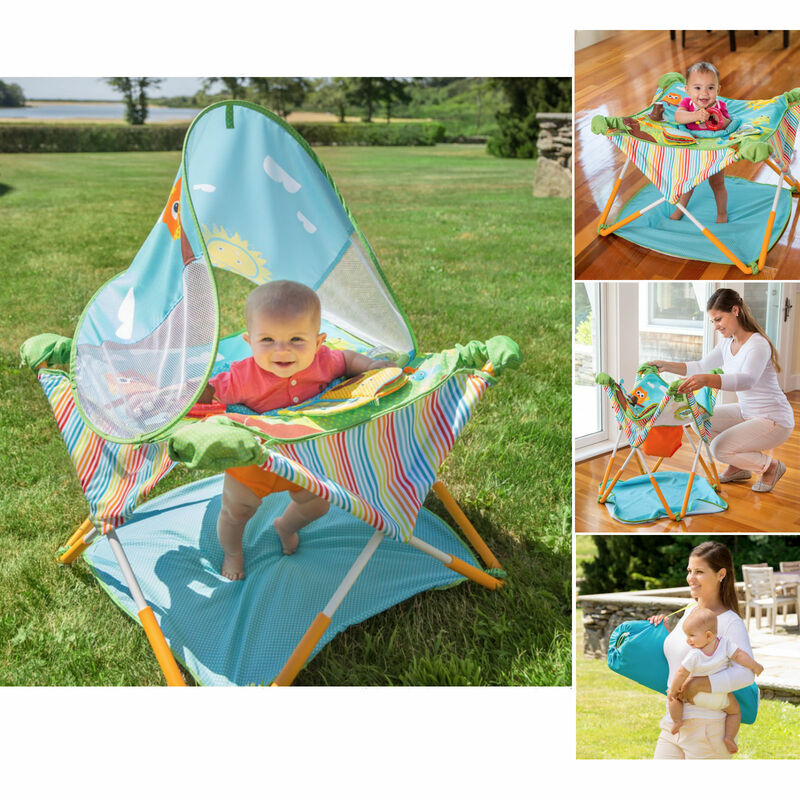 For active babies and on-the-go parents, the Pop n Jump Activity Centre from Summer Infant comes fully assembled, is ultra lightweight and takes a matter of seconds to set up. 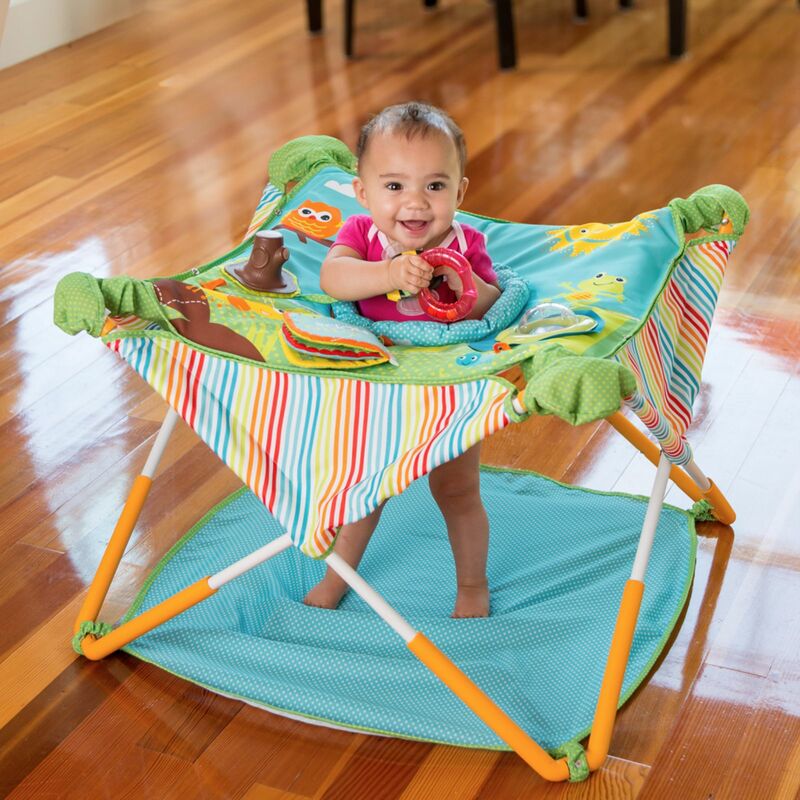 With an awesome jumping feature, baby can bounce until their heart’s content and since they are surrounded by an assortment of brightly coloured, stimulating toys, they are sure to be kept entertained for hours. 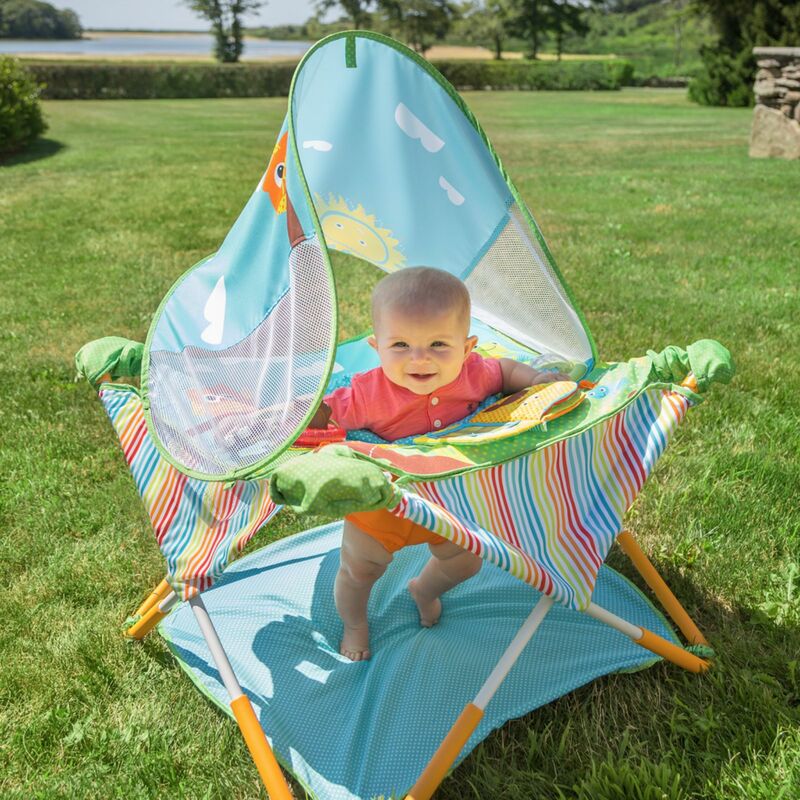 For use outdoors, the Pop n Jump comes with a UV canopy which helps protect baby from the sun’s harmful rays. The padded seat unit can easily be removed and machine washed when needed, whereas the compact travel bag allows you to sling the entertainer over your shoulder for ease of travel and transportation. Item arrived very quickly and in perfect condition. Thank you.